Drawing on our experiences from owning and managing our own apartments (the Nur Apartments) since 2006, we now handle rental management for other apartment and villa owners, under the Kalkan Secrets banner. Our aim is simple: to provide other owners' guests the same easy booking and rental experience that we provide for ours! We first came to Kalkan on honeymoon in 2004 and stayed at the old Samira Hotel. We just fell in love with the town and, above all, its people. So much so, that we booked to return the following year - but this time decided we had to take the plunge and buy our own little piece of this paradise! But, we knew we would have to rent it out, in order to cover our costs. So then came the difficult decisions: Villa or apartment? In the town, or up the hill? In the end, the choice was relatively easy. Our agent showed us the apartments that were being sold off from the Hotel Nur and, once we saw Apartment 303 (we now call it 'Sunrise') we knew that had to be the one! Great location; fantastic pool; easy to manage; 24/7 security. Why look elsewhere? Over the followng few years we gradually added 4 of the remaining apartments in the block (and we also manage the other one on behalf of its owner) and based on the success of our rental system and marketing, we decided that we should offer our rental management services to other private owners in Kalkan, who don't have the time, expertise or inclination to manage rentals themselves. We incorporated our UK company, Kalkan Secrets Limited, in April 2013 and this coincided with our decision to spend a couple of years living in Kalkan; mainly in order to establish a reliable Turkish property management team. We lived onsite at the Nur Apartments during 2013, then moved off-site to the Falcon Villas, on the edge of the old town. 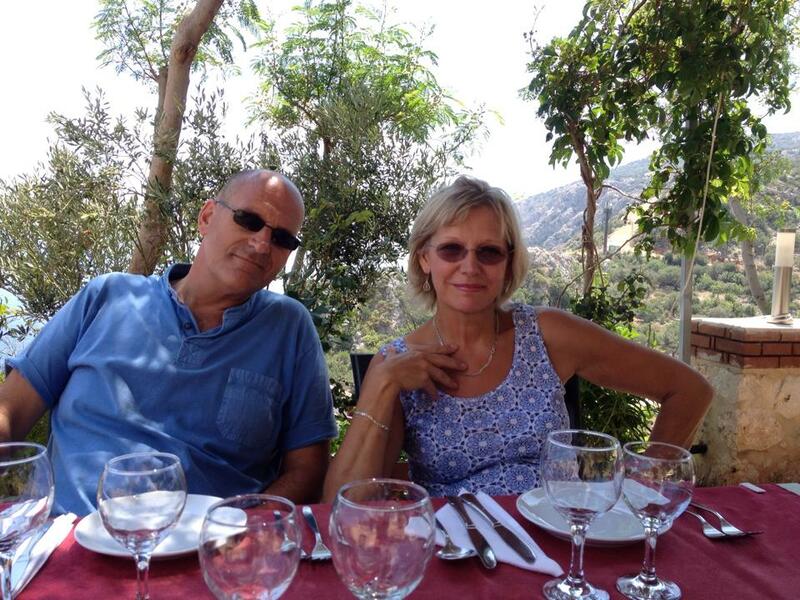 Martyn still travelled back to the UK on a regular basis to see his business clients (he is a financial adviser - principal of Marlow Wealth Management) leaving Fiona to run Kalkan Secrets on a day-to-day basis. By the Spring of 2015 we had made sufficient contacts to ensure the smooth running of the Turkish operations, so made the decision to return to the UK as our permanent residence but we retain our properties in the town and still spend a considerable amount of time in Kalkan. We still find it totally addictive...it's a real home-from-home, and we miss it when we're not there! We conform to all applicable privacy legislation and are registered with the Information Commissioners Office; reference ZA364720.